It's amazing how much time a pair of earrings can take. 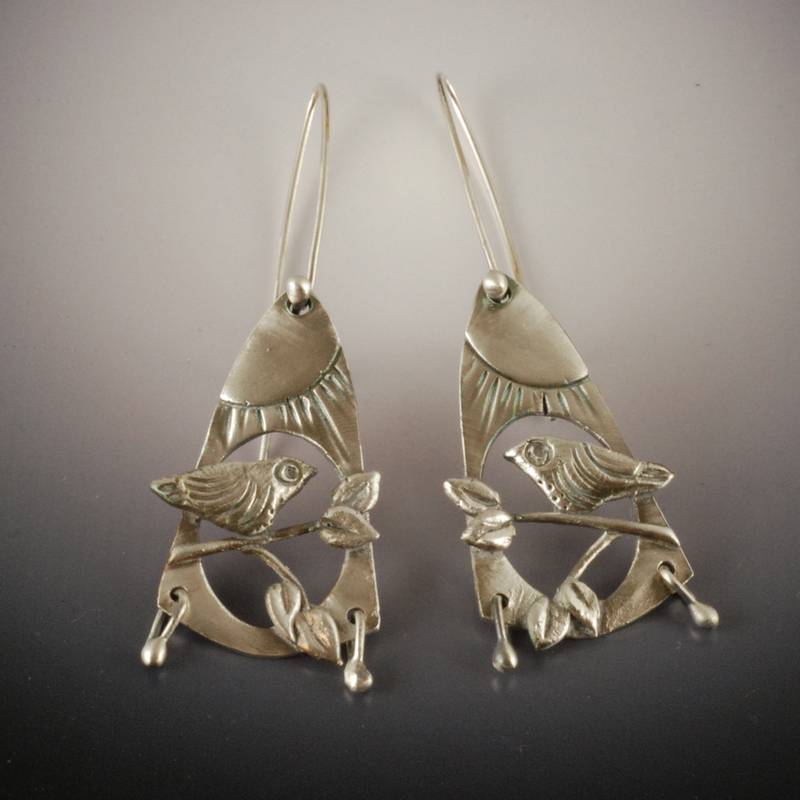 From the individually textured suns on the backgrounds to hand-formed branches, leaves and birds all carefully placed and reinforced, to firing, polishing, and forming the earwires, there are several hours of work in a pair of Meadowlark earrings. 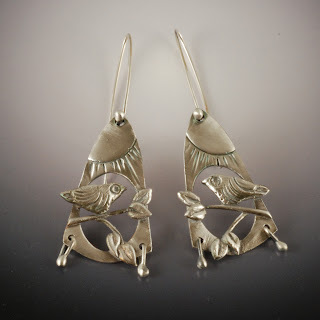 The first pair I listed on Etsy sold almost immediately (thanks, Kim! ), and I was sad to see them go. So I finally made a new pair for myself. Maybe if I made multiples they wouldn't take so long, but I'm not a production type of person. These are a bit different than the original Meadowlarks.